Hair loss is a problem that is common not only in men, but also in women. Seeing your hair thinning every day is really frustrating, as most people consider their hair as an asset that enhances their overall appearance. The causes of hair loss or hair thinning cannot be attributed to just one factor, rather there are several factors that can cause this problem. One of the most common reason that leads to loss of hair in people is heredity. People whose parents or grandparents have thin hair or suffer from frequent hair fall, are most likely to have the same pattern. 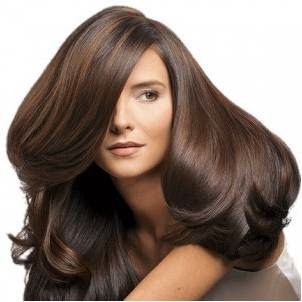 Regular protein treatment is essential to enjoy stronger and thicker hair. For a protein hair treatment the best ingredient to use is egg. Take one or two eggs according to the length of your hair and beat it properly. Now apply this egg on to your wet hair and allow it for sit for five to ten minutes. Finally wash your hair with lukewarm water and your favorite shampoo. You can go for this protein treatment three to four times a week. Another option is to mix together the yolk of one egg with one tablespoon of any kind of hair oil and two tablespoon of water properly. Use this mixture to massage your scalp thoroughly. Follow this remedy once a week to enjoy thicker hair.